This post contains affiliate links when possible. Thanks for supporting Pitter & Glink! Hey, y'all! 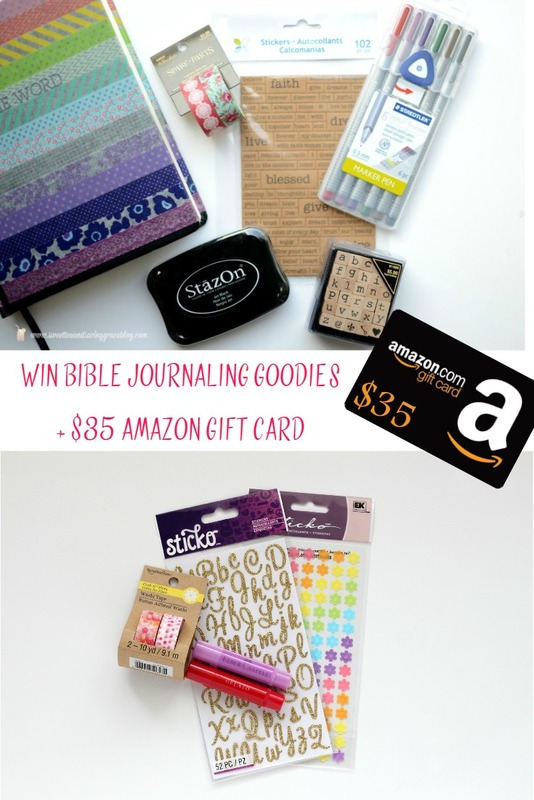 I have such an exciting giveaway for you today! 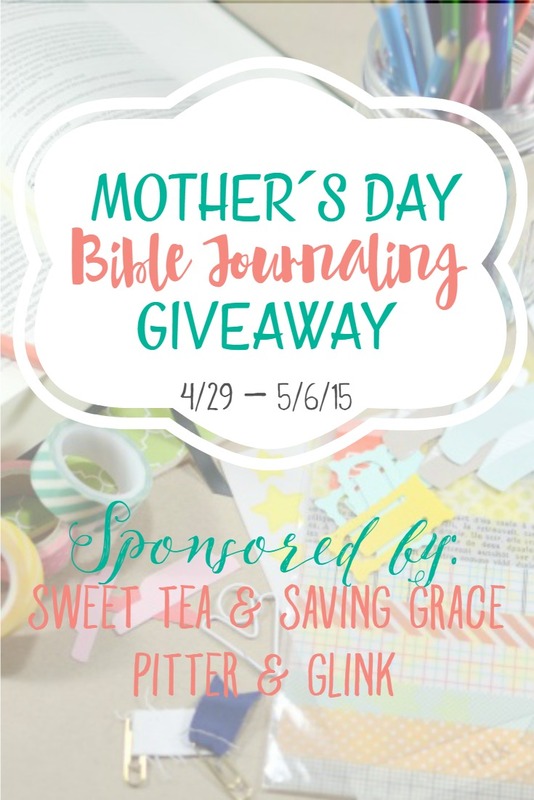 My friend Kirsten of Sweet Tea & Saving Grace and I are hosting a Bible Journaling Giveaway just in time for Mother's Day! 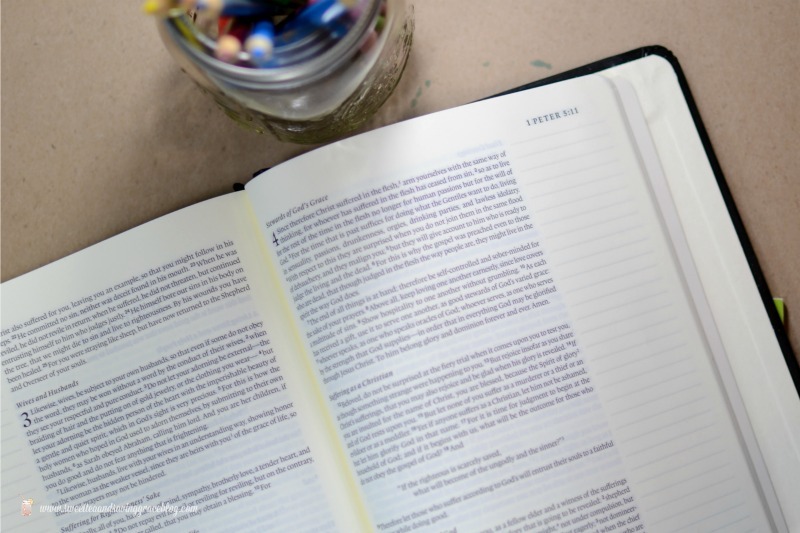 If you're not familiar with Bible journaling, it's such a cool way to dive into God's Word. 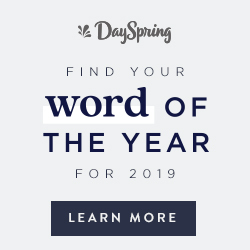 A journaling Bible is a special type of Bible that has a lined column on the side of each page. That lined column is perfect for journaling your thoughts about a passage or even illustrating a verse from the page. 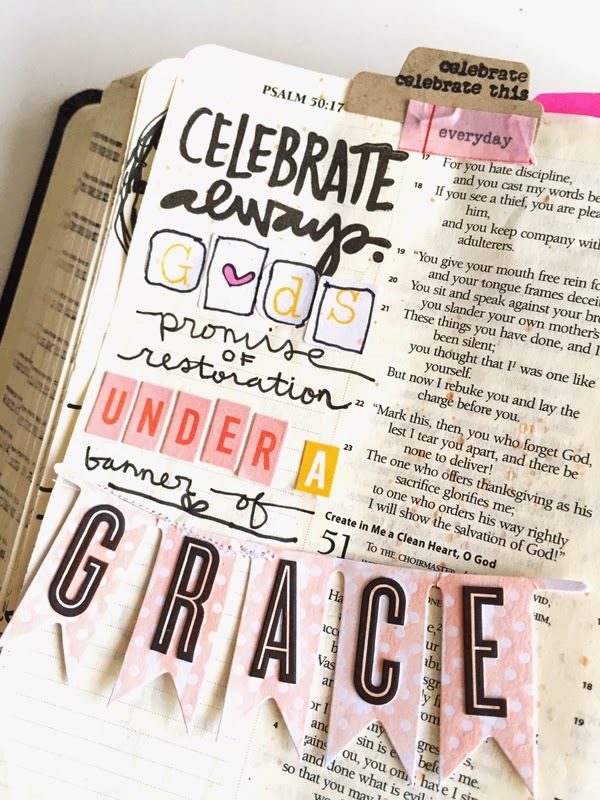 Since I discovered illustrated Bible journaling, I've been loving seeing pics of how so many people are illustrating their faith! I mean, just check out the image above! It's from Shanna Noel's website Illustrated Faith, and it's FULL of great resources on how to illustrate your faith and beautiful pics of how others are illustrating their faith! 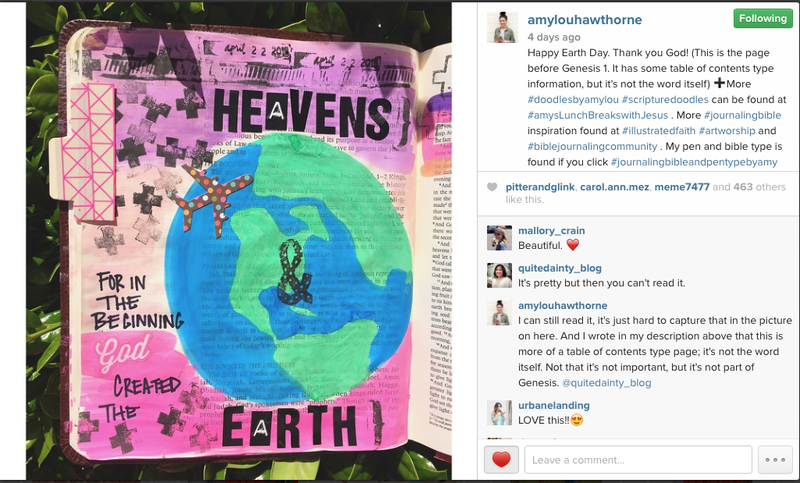 One of my favorite places to find lots of beautiful pics of illustrated journaling Bible examples is on Instagram, and I just love Amy Lou Hawthorne's illustrations! 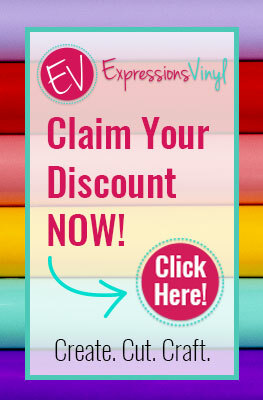 So now you're probably like me and want to jump on board the Bible journaling and illustrating train! You're in luck because as I mentioned before, you can enter for a chance to win this amazing prize Kirsten and I have put together! What will the lucky winner receive? The giveaway is open to US residents only and ends 11:59 PM EST May 5th. The winner will be notified by email and will have 24 hours to respond to claim his or her prize or another winner will be chosen. This looks awesome!!!!!!!! Excited for the possibilities. I have heard about Journaling Bibles, but have never bought one. This would be a great item to have to show my high school girls that I teach at church the significance of a physical Bible versus their phones or devices. Thanks for the chance to win. I have wanted one of these forever! I pray I win!!!!!!!!!!! What a great giveaway!! Perfect for Mother's Day!! This is a perfect gift...thanks for sharing and as always you are a wonderful craft artist! Such a great blessing! Thank you so much for the chances to win!